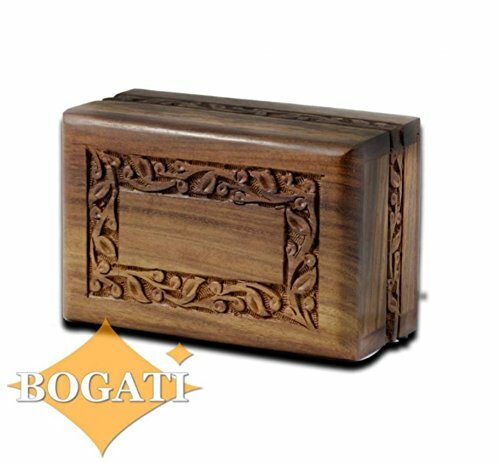 Simple yet elegant hand-carved rosewood urn. Made from solid rosewood. Slide out base. Beautifully made. Dimensions: 7.5" x 5" x 3.75"